GPS and digital mapping is the new map and compass and Getting to Grips with GPS will set you on your way to mastering this new technology. Expert tips and learning exercises will help consolidate your learning as you increase your understanding. 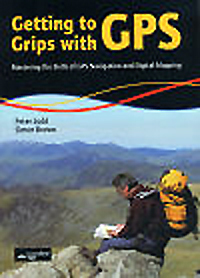 Using step-by-step screen shots as a reference tool you will find quick solutions to: Setting up your GPS; marking a waypoint; saving a tracklog; navigating a route and using your GPS abroad the authors are market leaders in providing GPS training and they have brought their wealth of experience to the printed page.